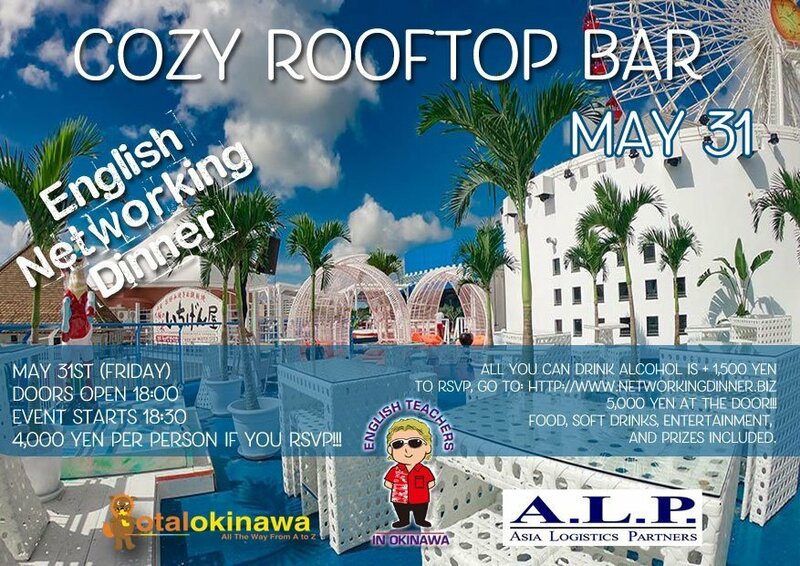 The English Networking Dinner is an event for business people located in Okinawa, Japan. We offer relaxed networking events as well as events overseas regularly. Click the More Info button below for further information. 4,000 yen per person IF you RSVP!!! 5,000 yen at the door!!! Food, soft drinks, entertainment, and prizes included. *We will have a table for people to put their company’s information, so please do not forget your company flyers!! 4,500 yen per person IF you RSVP!! ** Limited to only 35 people!! 5,500 yen at the door!!! Food, soft drinks & alcohol, entertainment, and prizes included. 1 – Plain and simple, Networking! 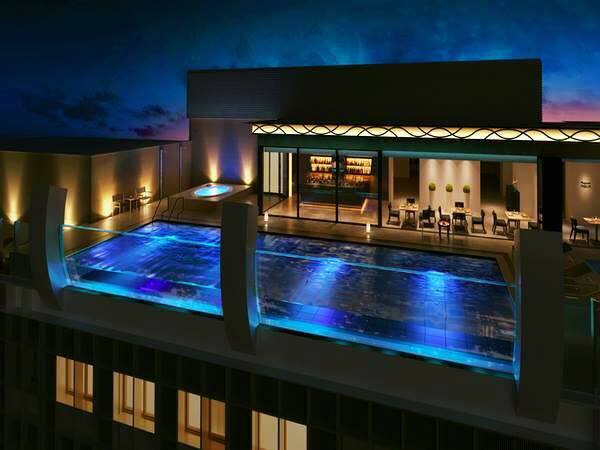 This can be for business or your private life. For example, hopefully you will learn about a nice new restaurant, hotel, sports team, what’s going on in Okinawa, etc. 2 – To build a good relationship between the Japanese business community and the foreign business community because there are not many chances for that in Okinawa. 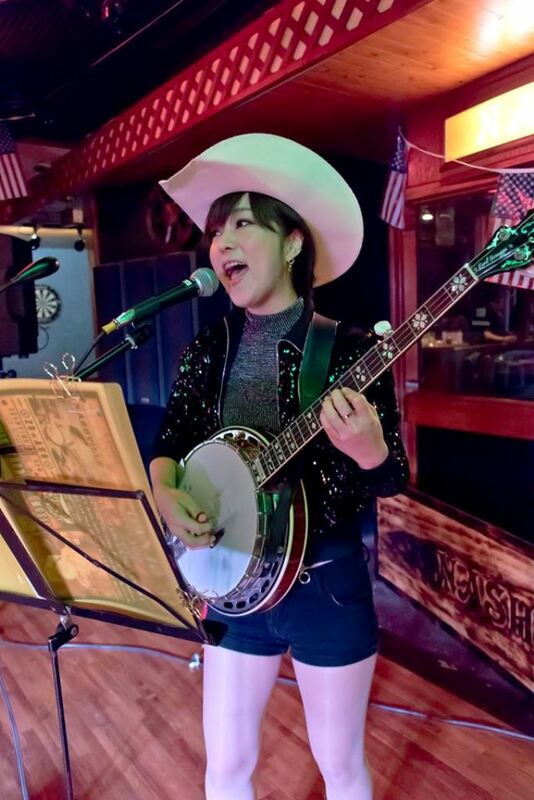 3 – Many of our Japanese friends speak or understand English very well, but do not have many chances to practice their English so they asked us to start a Networking Dinner between foreigners and Japanese. 2 – Bring a lot of business cards! We suggest around 50 if you are new to the dinners, and around 25 if you are a longtime member. 3 – Cancellations: Of course you can cancel your reservation, but you must cancel at least 48 hours prior to the day of the event to avoid being charged. At many of our events the catering, venue etc. require a minimum number of guests in order to offer select pricing and to offset closing the doors to the public for a private party. If you do not attend or cancel your RSVP properly, our costs could rise. We humbly ask your assistance is ensuring an accurate guest count. This also ensures the proper amount of food and drinks will be available. The point of our English Networking Dinners is to meet new people so please do not be shy. Since this is a dinner event, please enjoy the food & drinks while you are networking, but please don’t drink and drive. Let us know if you need a taxi or Daiko service so we can help you get home safely. We hope you all meet many new people and hopefully see you at our next English Networking Dinner. If you have any questions, comments, or suggestions, please do not hesitate to contact us. 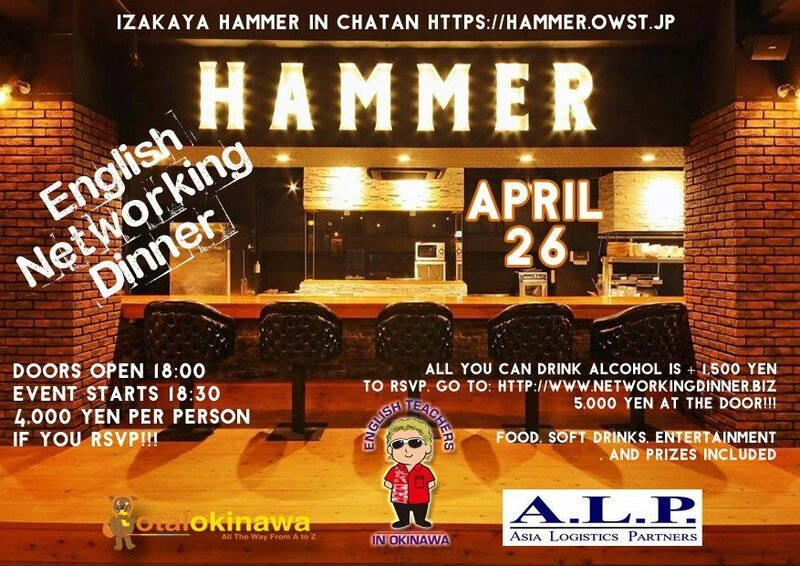 4,000 yen per person – food, drinks, entertainment, and prizes included.